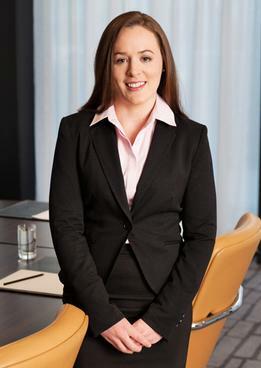 Fiona is an associate solicitor in the Property team at Hayes solicitors. She acts for clients in the purchase, sale, mortgaging and refinancing of both residential and commercial properties. She has particular expertise in advising receivers and banks in the sale of distressed properties. She often advises private clients on the purchase and sale of properties and also assists clients in the drafting of Wills and Enduring Powers of Attorney. Wills & EPAs – Fiona advises clients in relation to the drafting of Wills and Enduring Powers of Attorney and the subsequent registration of EPAs. Professional qualification as a solicitor, Law Society of Ireland, 2014. She frequently presents on topics of relevance both to colleagues and private parties, including talks on updates in the property sector and on Wills and EPAs.